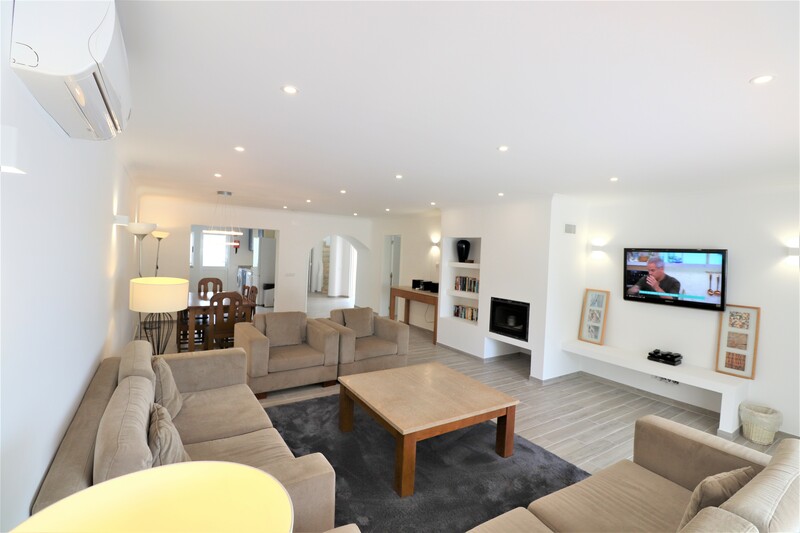 This modern three bedroom villa with plunge pool was completely refurbished in 2018. 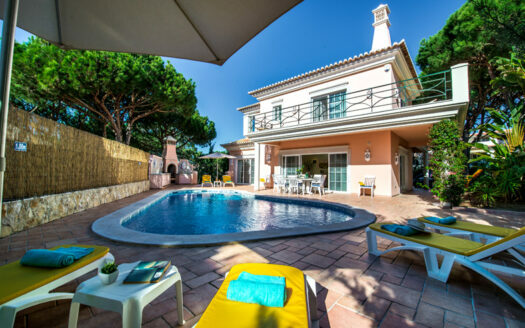 Conveniently situated near the Vale do Lobo Tennis Center. Ground Floor: Entrance hall with guest wc, bright and spacious lounge dining room with ample comfortable seating and dining area with dining table to seat 6. Fully fitted and well equipped kitchen. Patio doors out to partly covered terrace with patio furniture, built-in BBQ and plunge pool. 2 twin en-suite bedrooms with fitted wardrobes and modern bathrooms. First floor: Stairs to first floor master bedroom with fitted wardrobes, full en-suite modern bathroom and patio doors to large sunny private terrace. 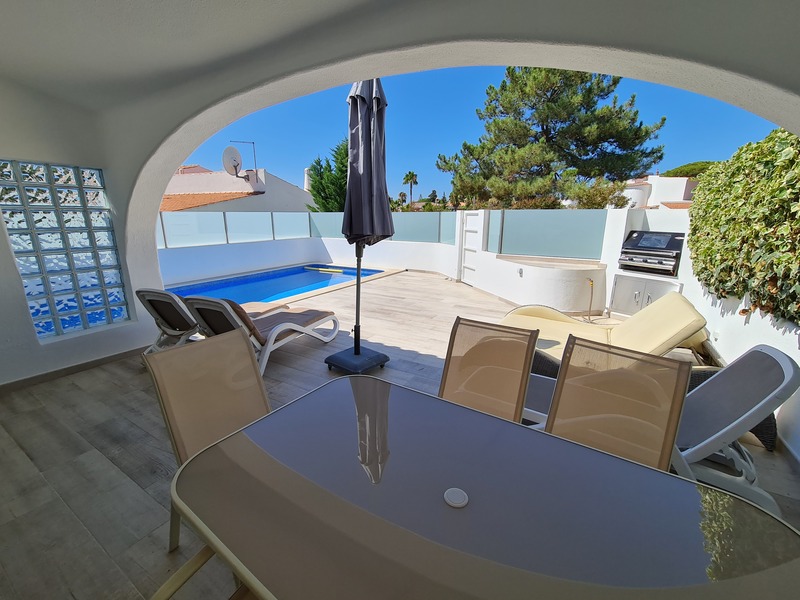 General: Free WIFI internet access; Cable TV; Air conditioning throughout the villa; Maid Service included 2 times per week (except weekends and public holidays); 15 minutes walk to the beach and ‘Praça’ with shops, bars and restaurants. 25 minutes drive from Faro Airport. Cleaning / Towels / Linen / Maid service: 2 times per week maid service included. Linen change weekly.